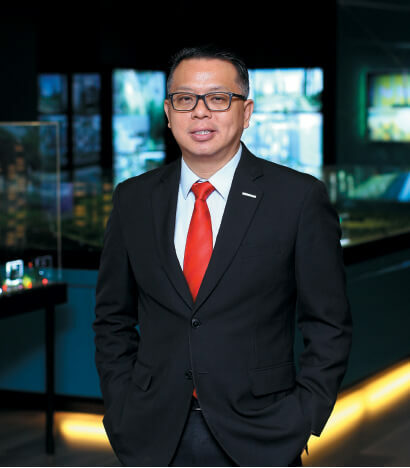 The past few years have been challenging for property developers but the optimistic managing director of IJM Land Bhd, Edward Chong, is unfazed. Always with a ready smile, Chong greeted us warmly when we met him at IJM Land’s show gallery for the interview. “Have you seen this project?” asks Chong happily, pointing to the scale model of IJM Land’s latest project, Riana South in Cheras. He has reasons to be happy, after all, the developer sold over 300 of the 500 units launched in one weekend. A very good response, considering the current market condition. IJM Land has proved itself to be resilient over the years, much of which can be attributed to its prudent approach. While its revenue in the 2016 financial year (FY2016) was lower than that in FY2015, Chong is quick to point out that in general, IJM Land’s performance has been stable and he expects FY2017 to be better. 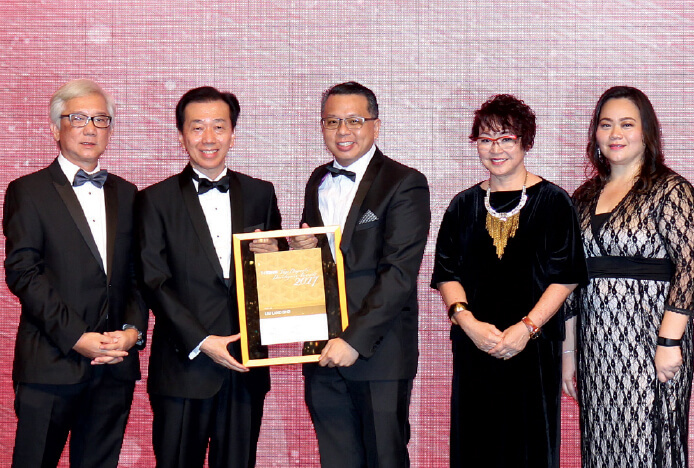 With improving market sentiment, Chong has exciting plans for IJM Land. They include the launch of the RM1.8 billion Riana Dutamas in Segambut and the construction of The Light City in Penang, an integrated waterfront development with a gross development value of over RM4.5 billion. City & Country: How have the past 12 months been for IJM? Edward Chong: I cannot say we are at our peak, but our performance has been relatively good and stable for the past year or so. I would say we are doing pretty well, considering the climate we are in. The most important thing is, we need to look at the situation and adjust sales accordingly. We need to do our best. Financial performance-wise, the 2017 financial year (ended March 31) was better than FY2016. We should be able to sustain our performance in FY2018. What does doing your best in the current environment entail? It is critical for us to manage a balancing act. We need to manage our cash flow, make sure we continue to stay relevant and be able to meet all our financial obligations. We don’t want to launch all our projects and find that we only sold 30% to 50% of each, which means we can’t complete them because we do not have the cash flow. In that sense, we have to ensure that whatever we put on the market today must be a product that will be well taken up and each project will be able to stand on its own feet and be completed. This means sometimes we need to find niche products that work. We are very selective. Unless we know we will have at least a 50% take-up rate, we will not launch the product. Ultimately, cash flow is the lifeline of any company. Our job is to make sure we can complete the project; it is a healthier way of management. From a buyer’s perspective, I believe that they like to be assured that when they buy from us, they will definitely get their property at the end of the day. What is your opinion on the market sentiment now? In the last six to nine months, I would say that it has been on an upward trend. We could see a noticeable difference at property expos and road shows as well as people visiting show galleries ... there were more people. Even in other locations, you would find that people are more interested in buying property now than a year or 1½ years ago. It could be pent-up demand. Usually, when there is a market downturn or a correction, people will refrain from buying as they think the market will crash. They think they may be able to get properties at lower prices, but in general, prices have been stable. So, after a year or two, they realise that nothing much has changed and maybe it is better to buy now. In terms of sales, there is a pickup, but financing is still an issue. People are still unable to get the loan margin they want. Nevertheless, there is a slight improvement in the number of loan approvals. Conversion of interest into sales is taking longer these days because you can no longer get loans approved within a week like we used to. What kind of growth are you looking at and what is your strategy to achieve it? We have been conservative in the last few years. We are now looking to sustain our previous years’ sales or at least keep them at a stable level. The main thing is to make sure that the products we launch cater for the specific needs of today’s market. The high-end market is not as strong as before, so we know the response will not be positive. But if we are able to launch a product at a certain affordable price range and make sure that it is the right one in the right location, the response should be strong. For the past year or so, all of our launches have achieved more than 50% sales. We don’t set very high sales targets. We have to be realistic. So, what is it that the market needs now and how is IJM Land catering for these needs? We can’t say that every market is the same. However, if you benchmark across the country, decent products priced between RM500,000 and RM700,000 tend to get snapped up quite quickly. Of course, each location has its own unique features, so we have to be sure that the product in a particular location is right for the market there and ensure that we have the right strategy. A good example is our recent launch, Riana South, which is a residential project in Bukit Manda’rina, Cheras. People can live there for a long time unlike serviced apartments, which tend to be small and most occupants will have to move to a bigger unit after a few years. 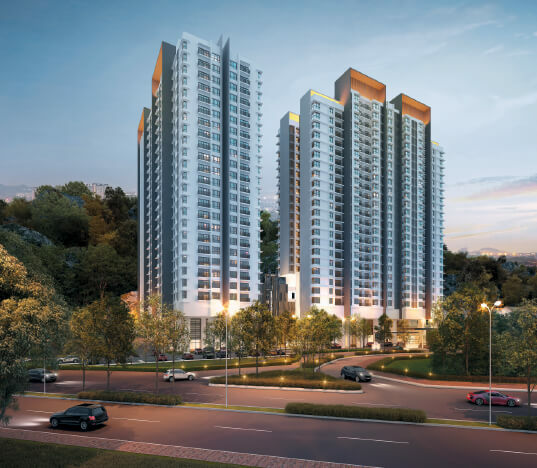 We’ve priced Riana South at RM561,000 onwards, and on one weekend, we were able to sell 300 of the 500 units launched. As long as the market sentiment remains, we will continue to launch more such products. What can we expect to see in the central region next year? Our Seremban 2 and Bandar Rimbayu townships are the anchors in the central region. The latter is one of the best-performing townships in the group and the take-up rates for our recent launches have been very strong. I believe Bandar Rimbayu will continue to grow and prosper. We are working on the commercial precinct now … we’ll see what we can do to make it more interesting and different. We will also be launching landed homes in Shah Alam 2 in Puncak Alam. This is one of the new hot spots. A lot of developers are building or going to build in this corridor. We are one of the pioneers there, having started in 2001 when there was hardly any sign of life. The early years were difficult, but in the last five years, sales have been very strong. We will be launching Riana Dutamas in Segambut in a few months’ time. This project is strategically located and is slightly different as it is targeted at a younger market. We are looking at first-time homebuyers and upgraders from the surrounding areas. In Segambut, it is about urban regeneration — factories will move farther away from the city and these sites, being close to the city centre, will see great demand. The built-ups of the Riana Dutamas units will be between 653 and 1,177 sq ft and their average selling price is RM550 psf. We are very excited about this project as it will play a key role in transforming Segambut. Seremban 2 will continue to outperform. All our launches have been snapped up quite fast, even for terraced houses priced at RM500,000 to RM600,000. If you look at the house prices in KL and Seremban, we can’t say Seremban homes are definitely cheaper. Those who buy in Seremban 2 have high expectations as it is a premium township. We will be launching some terraced houses that are a bit more compact and priced more attractively to cater for another group of buyers. There will also be apartments priced at between RM280,000 and RM320,000. This project is called Safira Apartment. We are working within a certain budget to suit the target market … it is sort of a corporate social responsibility initiative. The development will be located next to the Seremban courthouse, district police station and land office — within the government precinct. We want to offer this product to civil servants because they are serving the nation and we feel obligated to help them own a home. It is not a government-controlled project like Rumah Selangorku; it is our own. What about the northern and southern regions as well as Sabah and Sarawak? In Penang, we have launched Waterside Residence @ The Light and the take-up rate has been very positive. We were selling at an average of RM700 psf for units with built-ups of more than 1,000 sq ft. The more expensive ones and those facing the sea are fully sold. Coming up next is 3 Residence in Karpal Singh Drive, which will be located next to The Maritime, one of the most happening places for F&B (food and beverages) and entertainment on the island. It is a different product from The Light. It is leasehold, close to a lot of amenities and will be priced attractively. We expect it to be sold in no time. Next year, we will launch The Light City. We will start with the first apartment block called The Mezzo @ The Light City, the shopping mall, convention centre and hotel. Our vision is to create a coastline similar to that of Hong Kong. Every visitor to Hong Kong will go to Kowloon’s coast and look at Hong Kong island … its coastline. The Light City will be our core product in the northern region due to its sheer size .... we are talking about a gross development value of over RM4.5 billion. On the mainland, we are currently developing landed properties in the 131-acre Pematang Sanctuary in Bukit Mertajam and will be launching Phase 4 in the first quarter of next year. We are looking for more land but are in no hurry to commit to anything. We still have a land bank in Penang that can last us for a while. In the south, it is very much a landed proposition for now as the market for high-rise units is very challenging. We will study the market to find the right time to launch high-rises. In the beginning of next year, we will be launching terraced houses in Sebana Cove Resorts in Pengerang, Johor. I foresee very strong demand for this product because of the Petronas Refinery and Petrochemical Integrated Development (RAPID) project. In fact, we were invited by Petronas to hold road shows on its premises. Petronas had started to identify employees who will be transferred to Pengerang and wanted them to know the properties available there. The market in Pengerang is completely different from that in Johor Baru as its growth is spurred by RAPID. People will start moving there and businesses will follow suit. It won’t be just Petronas employees, those providing supporting services will also be going there. Those working in oil and gas sector are generally paid well, so when they move to Pengerang, the spending power in the area will rise and business opportunities will increase. Expatriates may choose to live in a slightly different environment, and Sebana Cove offers a better ambience than the surrounding areas. We have a marina, golf course and clubhouse ready. I think Sebana Cove will be one of our core townships by next year. I believe Petronas will be sending its first batch of employees to Pengerang around end-2019, which means they want completed properties by then. As for Sabah, we will continue with our 395-acre Bandar Utama township in Sandakan. Is IJM Land planning to grow its international market? We are still delivering on our Royal Mint Gardens project in London. We are waiting for the last approval for Phase 2 because in our original scheme, there was a hotel, which we have now turned into a residential component. We are exploring more projects in London and our focus is not necessarily on Central London. We may be going out farther to zone 4 or 5, but they have to be strategically located, next to underground stations. We developed our maiden project in Central London because we needed a prime location to showcase our brand. Subsequent projects should cater more for the locals because we believe such demand is much more sustainable. We have been exploring Australia but have yet to find something we like. The foreign exchange issue has made things a bit more challenging. I know I can make money from a project in Australia, but if the foreign exchange rate takes a drastic turn, all our profits will be wiped out. So, for oversea projects, we need to be more diligent and study the risks. We are in Vietnam and China as well and will continue to explore both markets.